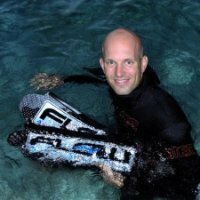 Dive master Leo Hoogenboom is available for almost any activity you wish to do on Bonaire: among these are private diving adventures (west or east coast), dive training, hiking, biking, and caving. Contact villa manager Femke Schut or Leo directly to make arrangements. ﻿Do you want to celebrate a special occasion or simply take a break from cooking at the villa or dining out? 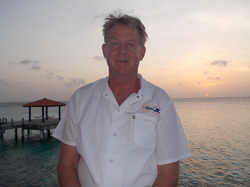 Chef Philip Joukes will shop, prep, cook and serve up a beautiful and delicious meal at Villa Salentein's stunning table overlooking the warm waters of the Caribbean. At Villa Salentein you are encouraged to be as adventurous or as slothful as you like. To that end, villa managers Femke Schut and Mandy Zoons can arrange for a private yoga session or a massage on the open-air patio. They can answer any questions you may have during your stay and make arrangements or suggestions for both adventure and sloth!